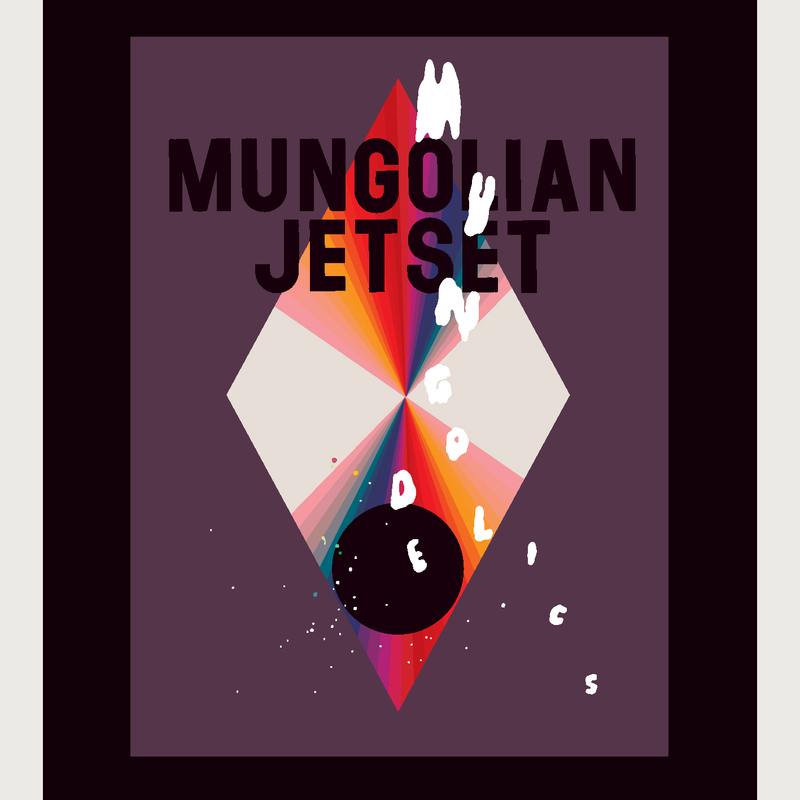 Hot on the heels of 2011`s "Schlungs", the Jetsetters have kept those buttons busily pushed, and is already here with their next chapter installment, featuring 8 new nuggets entitled "Mungodelics". The album is essentially a psychodramatic sequel to the highly acclaimed "We Gave It All Away, Now We Are Taking It Back" album of 2009, as it is musically a blend of originals and remakes made into originals, as well as solo performances and external collaborations from the band`s musical core members, Knut Saevik and Paul "Strangefruit" Nyhus. However, in Mung context, that should all make for perfect sense. As a band infamous for taking musical excess to previously unexplored lengths and then weaving it through the stars in a funked-up join-the-dots fantasy of intergalactic proportions, "Mungodelics" is the return to the Terran homeworld, or rather the Underworld. In the Mung context, it is an excavation of a rarely visited cave on the dark side of the Mung. "Mungodelics" unleashes some of the most epic-sounding progressive electronic music out there, but the emphasis is more to the deeper, darker, melancholic and melodic sides of the psychedelics. In the peaktime dancefloor ticking bomb that is "Smells Like Gasoline" ( its working title was "Ibeeza" ) and it`s space-age driven Yacht housing counterpart "Revolving Door" ( with Unni Wilhelmsen ), the Mungs show that they perfectly do mingle in with the sophisticated dancing crew, as the music is jetsettling at it`s most accessible best. Deeper down in the jungle, the fever and psychedelic pyronomics of "The Dark Incal" and its equatorial cousins "Ghost In The Machine" and "Mush In The Bush", tickles the body and soul with its folkloric sounds and grooves from the urban village. "Mung`s Picazzo" ( with Athana ) takes a n even lower flight across swamp-like Krautian landscapes previously uncharted in the Mung dominions. "People On Strong Stuff" features the first lead appearance of legendary Mung Tenor, the Julian of Chode aka Monzta, and is an anthem for the demagnetized generations blended with a free-floating symphony over an ingenious bassline. "Tocatta" ( with Jaga Jazzist ) is the hybridized Reichian output of the Jumungus militia`s highly individualistic Gestalt labs, featuring patterns designed to alter various brainwave patterns in previously unexplored ways ( and invoke rain in arid aras ). It is thoughtfully put as the third eye-opener on the cd version of the album. All in all, "Mungodelics" musically summons everything that is hazy, dazy, underearthly and crazy. This is the Mungolian Jetset taking you on a ride through the seasons, and shifts of the days and nights, from the Cantina to the Ewok forest, via ritualistic dancing at Kilmin Taboour and stellar swimming in the galactic Goa. All revved up as clouds like souls from the stolen sky, encountering people on strong stuff, being, strong on people stuff. Well, didn`t we say sober? ?